Many of us experienced installation failure when we tried to install Microsoft software packages extracted from the ISO image. An ISO file is an image of a CD/DVD. In other words, an ISO image is an archive file of an optical disc, a type of disk image composed of the data contents from every written sector on an optical disc file system. The ISO image file usually have a file extension called .iso. Usually Microsoft publish their software also in the form of ISO image which can be easily downloaded and copied to CD/DVD. 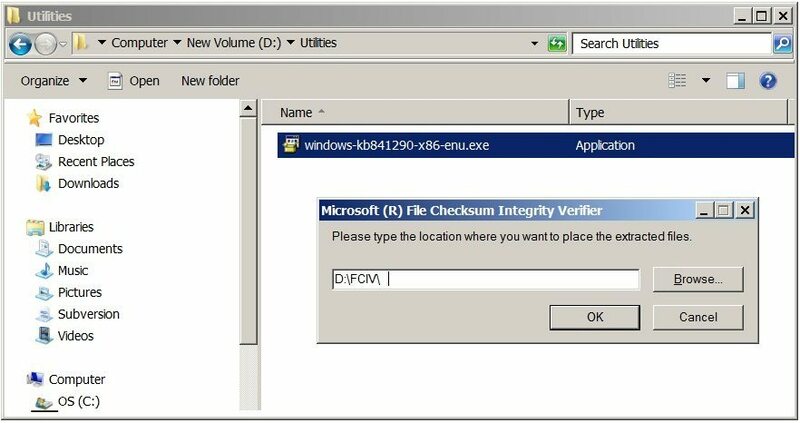 In this article, learn how effectively use Microsoft File Checksum Integrity Verifier tool to verify ISO (.iso) image downloaded from the internet. When you download any ISO image from the Microsoft download center or subscription account, it may happen that ISO file gets corrupt once download completed. The corruption is quite possible specially for large .iso image about more than 1.GB of file size. This may be due to low internet download speed or frequent internet disconnection occurred while .iso file download in progress. Further, if you try to install software using such corrupted .iso image, then the installation may not be initiated nor successful. Similar problem occurred when installing Visual Studio 2010 SP1 package. Now, the question is how to make sure that downloaded .iso image file is correct. 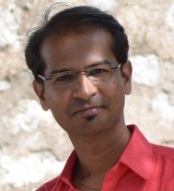 In this case, we would need to have some kind of verification tool which does the checksum computation. The Microsoft File Checksum Integrity Verifier is a command-line utility tool for computing hash (checksum) of files. Double Click on windows-kb841290-x86-enu.exe installer file to install the utility. Further, the installer will ask for target folder to extract the File Checksum Integrity Verifier utility. Enter the location of your choice and click on OK button to extract the files. The target folder contains following files. 1 It is recommended to understand the available command options provided in Readme.txt file in order to use File Checksum Integrety Verifier utility effectively. 2 Open Windows Command prompt and navigate to the folder path where the File Checksum Integrity Verifier utility tool is extracted. 3 Type the following command to compute the checksum for any .iso image. 4 The checksum computation takes couple of minutes based on the .iso image size. Once the computation is done, you can see the calculated checksum or SHA1 hash on the command prompt. Now verify the computed checksum against the one which is mentioned in the installation location. If there any difference you see then, it is clear that downloaded ISO image is corrupted and you may need to download once again.